Allerzielen Alom is a multidisciplinary community-art project, in which a balance is sought between visual art, music, theatre, photography, light- and video art, and literary art, and where we unite amateur and professional art. New artists are selected based on a master class during which the concepts of Allerzielen Alom are discussed and worked out using initial sketches, thought processes, and cooperation. Experienced artists provide their experience to young artists and amateurs from the communities. Young and starting artists have the opportunity to build up experience within Allerzielen Alom in the core of society and the sensitive subject of death. Amateurs receive an audience. Artists are expected to deliver quality, make a modern contribution, and to some extent, explore new frontiers. Furthermore, they must be naturally empathetic and make an interpersonal contribution based on contact. It is also important that they can and are willing to work together with local artists and/or amateur societies. This year we are working with a group of five experienced artists in North Holland. They will be primarily active in workshops and advice. 30 artists have been selected by Kunstenaars & Co and Kunst en Cultuur Noord-Holland to take place in the master classes. Eventually 10 will be selected to go on. 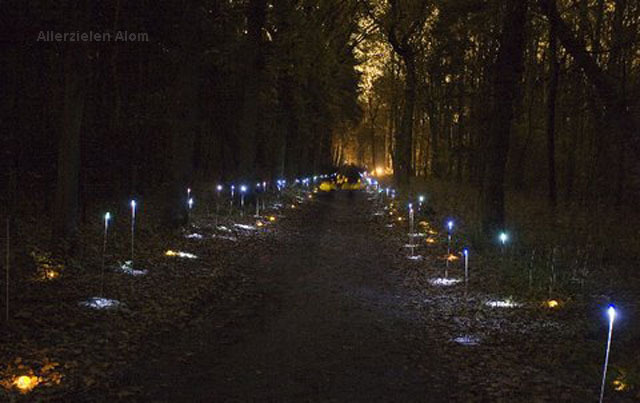 16 artists were selected in Brabant to take part in Allerzielen Alom. A number of other artists are taking part in the independent initiatives. Furthermore, a number of amateur and local artists will participate. Studied at the Social Academy of Amsterdam and the Nieuwe Academie in Utrecht. From 2002 – 2004 studied at the Fotovakschool in Apeldoorn. From 1982 – 1988 Mirjam Bakker studied at the Hogeschool voor de Kunsten Arnhem, Faculty of Visual Arts, majoring in monumental architectural design. In 2003, she trained to be a museum lecturer in 2003 at the Van Gogh Museum in Amsterdam. From 2004 – 2005 she was the so-called ‘polder master’ of the Broekpolder, a VINEX location (residential development project) in Heemskerk/Beverwijk. For one and a half years, she initiated social art project with and for the residents. 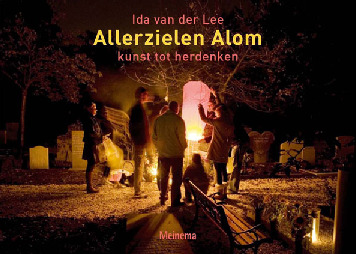 Within Allerzielen Alom she conducts the inspiration evenings for next-of-kin who want to do something special at the grave or a selected location. She has prepared a book of examples to show what is possible, including practical and creative tips. Studied at the Hogeschool voor de Kunsten in Utrecht, department of conceptual design and the teaching curriculum. Studied at the art academy AKI Enschede from 1979 tot 1984, specialising in audio-visual. He creates installations with sound and video, and audio environments. Most important works: Radio Rabotnik, ethernet pirate / commemorative monument Fire for the hero of the resistance, V.d Lubbe, arsonist at the Reichstag. Key words: rewriting history, multidisciplinary, socially active. Rainier works on the Fire and Light Workshop and the fire plans in Allerzielen Alom. Mechtild graduated from the theater academy in Maastricht in 1988. She then wrote and directed various productions as a freelancer, for example for Hollandia, Huis en Festival a/d Werf, Noord Nederlands Toneel. After she completed Das Arts in 2000 (second phase curriculum for artists on stage) she began writing documentary theatre. Furthermore, Mechtild Prins is a mentor/ coach for various young writers and directs, helping develop their production. She also gives a number of workshops and classes at theatre schools and for Kunstenaars en Co.
For Allerzielen Alom she is active in the master classes for artists, and gives the Workshop for Hosts and Guides. Daphne studied cultural and social work, art and culture, and management and organisation (part-time) at the Hoge School Rotterdam from 1991-1995. Thereafter she trained in classical voice, taking part in various workshops in theatre writing and directing, and in 2008, voice relaxation. Daphne writes and directs narrative and thematic productions and concert programmes. She enjoys working with visual artists, and theatre writers, and looks for interaction with images. Daphne gives two workshops within Allerzielen Alom. She teaches the concept of ‘Name Singing’ to amateurs, a concept which was a great success in 2007. in the other workshop, she works with representatives from choral groups to see how their repertoire can be adapted to Allerzielen Alom.